A new study has found that grandparents today are way more involved in their grandchildren’s lives than previous generations, and most of them are super happy about their hands-on roles. Phew! 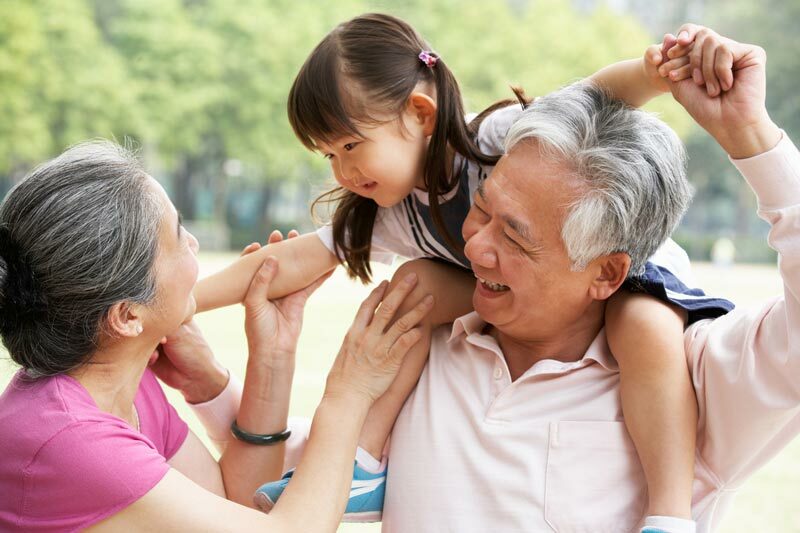 With multi-generational households on the rise, and more than 800 000 grandparents providing care for their grandchildren each week, grandparents are very present in their grandchildren’s lives, according to a study by Nickelodeon Australia. In these days of double incomes, rising childcare costs and crazy house prices, many of us feel we rely on our parents help with our kids too much. 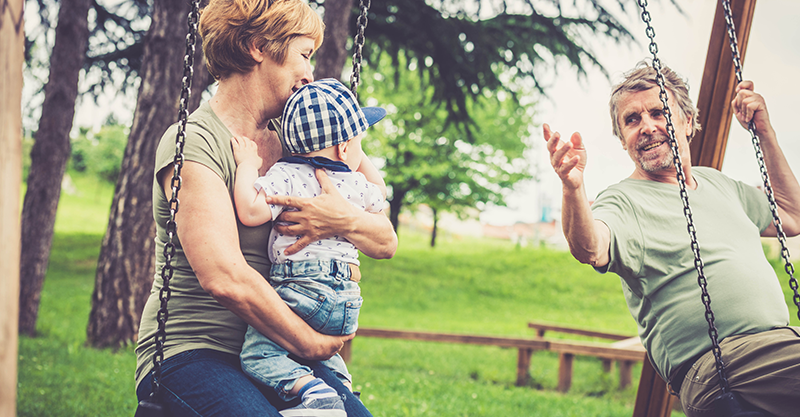 This research shows we can relax however, as grandparents expressed how much they enjoyed the bond they have with their grandchildren, as a result of spending so much time with them. In the survey of 1000 grandparents, 88 percent say they enjoy being a grandparent and 42 percent say they enjoy being a grandparent more than they did being a parent. Of those providing childcare on a regular basis, 71 percent say they are playing a larger role than their own grandparents did with them. As a result, most feel they have a closer relationship with their grandchildren, and agree that helping out is part of their role within the family. Adorably, 82 percent of Australian grandparents cite “doing fun things together” as the most important part of their role. What’s more, grandparents do a stellar job at caring for our little ones when we can’t. A whopping 85 percent of the grandparents surveyed indicated that they give their full attention to their grandchildren when they are playing with them. Grandparents of young children cited going on walks, playing games and reading as a few fun ways they spend time with their grandchildren. Family is their number one priority, with 88 percent of grandparents noting it’s important to provide support and guidance, pass down family and cultural traditions, and teach their grandchildren life skills. Awww. One-third of grandparents say they contribute to the costs of raising their grandchildren. Retired grandparents spend the most per month on their grandchildren (an average of $402.40) with money mainly going toward presents, food and drink, clothes, toys and day trips. Grandparents also make sacrifices to provide care for their grandchildren, with 40 percent saying they go go without to help their grandkids, and 20 percent say it can be a financial burden. Only 10 percent indicated caregiving has impacted their original plans for retirement. I fall into the multi-generational living arrangement category of families that we are seeing on the rise. With the crazy cost of housing being what it is, and also having some ongoing health issues that mean we need to rely on my parents a lot. We now share their house with them. As I type though, the builders are busy working on the granny flat we are funding in their backyard. The plan is my parents, who need to downsize, will occupy the flat and we will stay living in their house. They will care for us when we need it from time to time and we will look after them as they age. As a result though, my boys will share their childhood with their grandparents. Their memories will be of gardening with granny and helping grandpa to pick up sticks for the wood pile. It will also be of snugly on-tap grandparent cuddles because they are there. Present. An active part of their childhood. And it will be of their much-loved grandparents stepping in to mind them when we need their help. When they are asked to draw their family tree at school, I know this will include granny and grandpa. We are not just a family of four. For my parents, seeing their grandchildren everyday means they have a beautiful and close bond. I can see how my kids are also keeping them young, too. I hope this means they are around for a very long time. Grandparents are just the best.